Wer hat den Schalter umgelegt/Who has turned the switch? Die Marina Dubrovnik war zum Wochenende ausgebucht und so mancher dicke Pott musste seinen sicheren Liegeplatz verlassen und bei Wind von über 30 kn raus auf neue Herbergssuche. Wir hatten Glück und bekamen nach drei Tagen einen andere Liegeplatz zugeteilt. 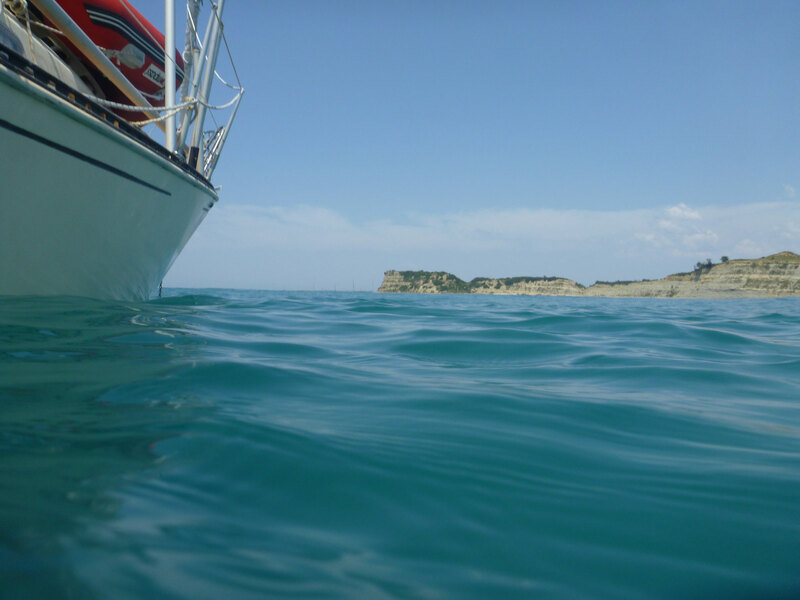 "You have a small ship, we will find a corner for you" meinte der Marinero. The marina of Dubrovnik was fully booked out for the weekend and some big ships needed to leave its save anchorage and look for another one at wind speeds exceeding 30 kts. We were lucky and were allocated to another berth. 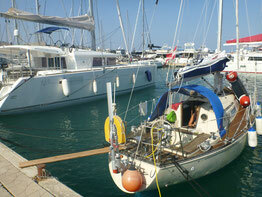 "You have a small ship, we will find a corner for you", commented the head of the marina. Neben der tollen Stadt fanden wir aber auch an unseren neuen Bekanntschaften aus Pinsdorf großen Gefallen, Seglertratsch vom Feinsten. Am 19.6.2016 konnten wir dann endlich raus aus Dubrovnik, sind bis Cavtat gefahren und haben dort ausklariert und somit Kroatien verlassen, ein paar Stunden später haben wir im ersten Zollhafen Montenegros - Zelenika - neben einem riesigen italienischen Kriegsschiff festgemacht und uns dort bei den Behörden angemeldet. Im letzten Licht haben wir den Anker gleich nebenan geworfen und haben eine ruhige Nacht verbracht. Für 6 Uhr Morgens war ja schon wieder stürmischer Westwind angesagt und unser Plan war bei dem Wetter weiter nach Kotor zu fahren. Der nächste Tag begann mit Schwimmen, einem beschaulichen Frühstück in kompletter Flaute. Ha, heute hatten sich die Kroaten wohl mit dem Wetterbericht geirrt. Gerade als wir uns fertig machen wollten zum Weiterfahren kam der Wind, von 0 auf 35 kn aus dem Nichts, erst nach vielen Richtungswechseln im Fjord wurde die See ruhiger und wir kamen nach fast 3 Stunden in Kotor an. Apart from the wonderful town of Dubrovnik we enjoyed spending some time with our new sailing friends from Pinsdorf, sailor-gossip at the best ... On the 19 June we could finally leave Dubrovnik, moved on to Cavtat the check out from Croatia and checked in in Montenegro/Zelenika some hours later next to a large Italian warship. In the last minutes of daylight we dropped our anchor nearby the customs pier and spent a silent night. Since stormy weather was predicted as from 6 a.m. of the next day we planned to sail to the town of Kotor quite early. This next day started with a relaxing swim, a pleasant breakfast and completely calm weather. Apparently, the Croatians were wrong with their weather-forecast for this day ... 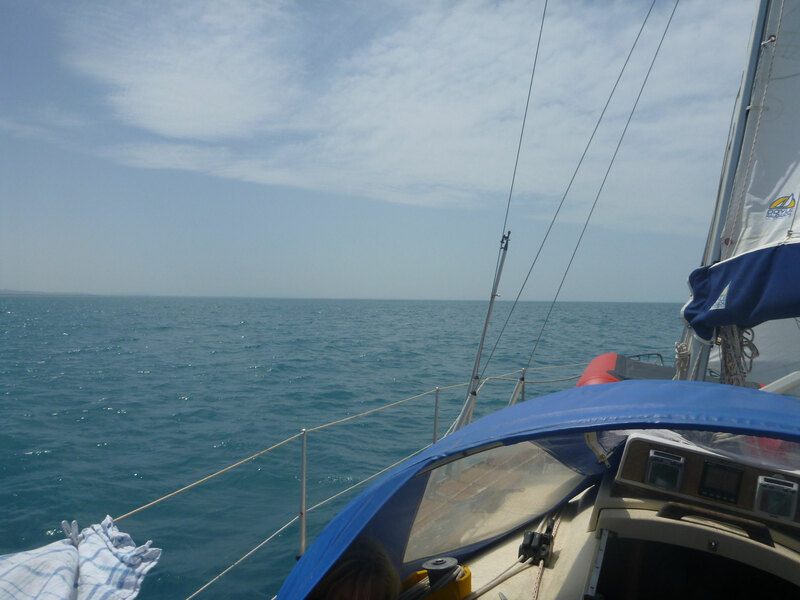 Right when we were about to lift our anchor, the wind started out of a sudden from 0 to 35 kts! Only when approching the fjord of Kotor the conditions eased again and after 3 hours we finally arrived in the town of Kotor.